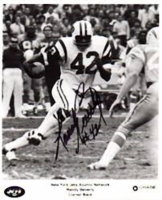 On this day in 1944 Former Jet great and Superbowl Hero Randy Beverly was born in Wildwood, NJ. 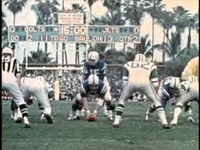 Randy played for the Jets from 1967-1969. 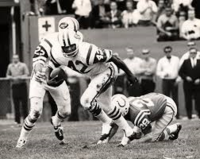 His 2 interceptions helped secure the Greatest Upset in sports history. His acrobatic pick in the Jets endzone stopped the Colts early, and that momentum carried throughout the game. Randy, a personal thank you and Happy 71st Birthday sir. And, on this date in 1989, the Jets and QB Ken O'Brien agreed to a 3-year contract extension. The deal was reportedly worth $4.2 million. O’Brien, who could have signed an offer sheet with another team, chose instead to remain with the Jets and accept their offer. “I wanted to stay in New York and I always planned on doing that,” said O’Brien. He and his agent also negotiated a clause in his contract that required donations to children’s charities for each Jets win. The children did not do very well when the Jets went 4-12 in 1989, followed by a 6-win 1990 season. God hates children and the Jets.